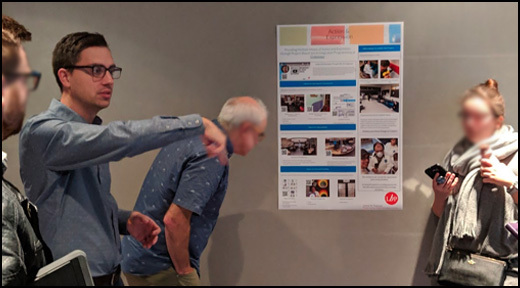 Last school year, I was invited to collaborate on a project with a team of teachers and pedagogical consultants at Place Cartier Adult Education Centre, part of Lester B. Pearson School Board (LBPSB). The presenters teach across a range of programs at Place Cartier, including general education, alternative education, and special education. 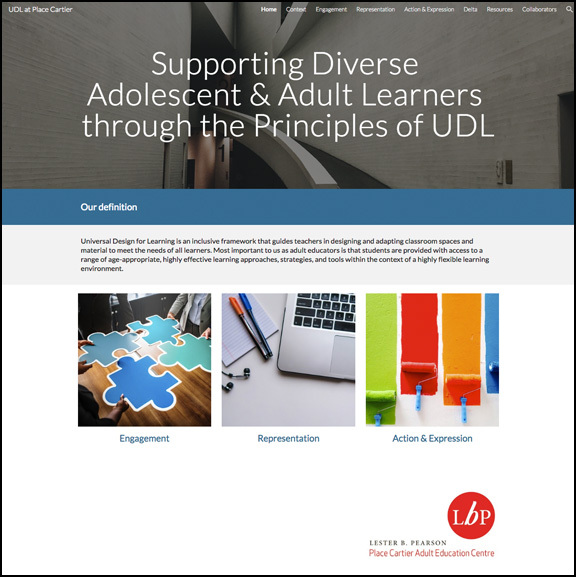 The goal of the Place Cartier project is to demonstrate how Universal Design for Learning (UDL) is used at Place Cartier to support adolescent and adult learners. The Place Cartier team also presented their project at the QPAT 2018 conference. In a previous blog post, I wrote an article about “Why Flexible Learning Spaces and UDL matter” and highlighted the idea that if students are provided with the flexibility to choose how and where they learn best, then they are more likely to be engaged and take ownership. It’s also equally important to trust our students in order to allow the learning to happen. It was really amazing to see and experience this in action at the Place Cartier QPAT 2018 session. While UDL may sound like it’s a universal way to teach students, it’s actually about designing instruction to meet the individual needs of each student. In order to create a real-world connection to the theory, each team member was filmed as they worked with their students. We created 21 short “bite-sized” 1-2 minute videos that can be viewed via the following YouTube playlist (see image below) or through the Google Site. I’d highly encourage you to explore the Google Site and associated videos in order to see how the Place Cartier team has integrated UDL in how they teach.. and how their students learn! I genuinely loved being part of this project and extend a sincere thanks for including me. If you are an FGA teacher, consultant or administrator looking to incorporate UDL principles into your classroom or centre, please reach out. Tracy Rosen and I would love to make more connections! 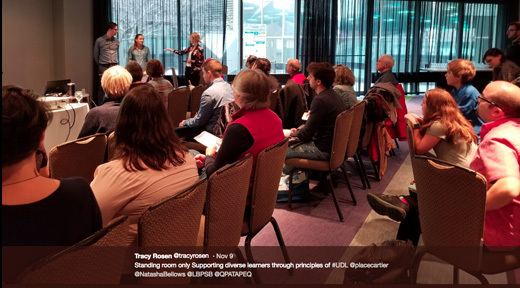 This entry was posted in Teaching Strategies and tagged cast, CUA, flexible learning spaces, lbpsb, place cartier, qpat, udl, UDL resources, UDL videos. Bookmark the permalink.